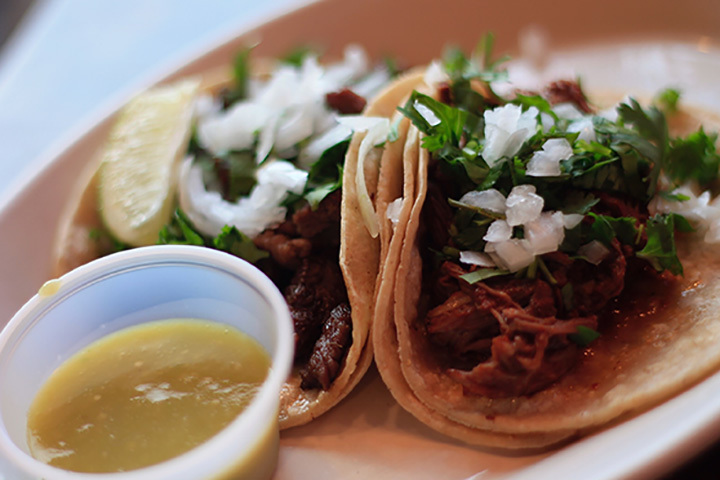 Head south if you’re looking for the best taquerias around, specifically to Oklahoma, with its impressive, high-quality selection across the state. With such an extensive selection of options of this favorite food, where does one begin? We’re here to help you out. Here are 10 great local taco joints in Oklahoma serving up some truly authentic fare. The Lost Ogle recommends the goat and beef tripe tacos at Taqueria Los Desvelados. This place is open very late Friday and Saturday nights to get a kick bite after hitting the bars. Big Truck Tacos started out as a food truck and quickly needed to keep adding kitchen space to meet demand. Plan for a line if you go for lunch. The cuisine is inspired by West Coast Mexican fare. The menu is huge, but don’t let it scare you. Try a sampling of items off the a la carte menu. A café and coffee bar that has an interesting menu. The reason Chimera makes the list is for its breakfast tacos, made from locally-sourced ingredients. Authentic Mexican flavor from the state of Chihuahua. Plan to wait during popular times. A sister restaurant to Eskimo Joe’s, Mexico Joe’s says it’s “Home of the world’s best salsas.” On Mondays, get an all-you-can-eat taco plate. Innovative Mexican cuisine, organic vegetables, antibiotic-free meats, local products and sustainable practices, what’s not to love? Enrique’s bills itself as the “hottest jalapeno on the runway.” Handmade chips, house made salsa, and recipes dating back 30 years await your palate and you can watch the planes take off and land while you eat. El Senor Salsa might be known for its famous white queso, but it offers a full list of tacos generously flavored with the triad of tomatoes, onions and jalapenos.